Jammin' on the space station, a rocket bound for Mars and more stellar highlights from May 2018. 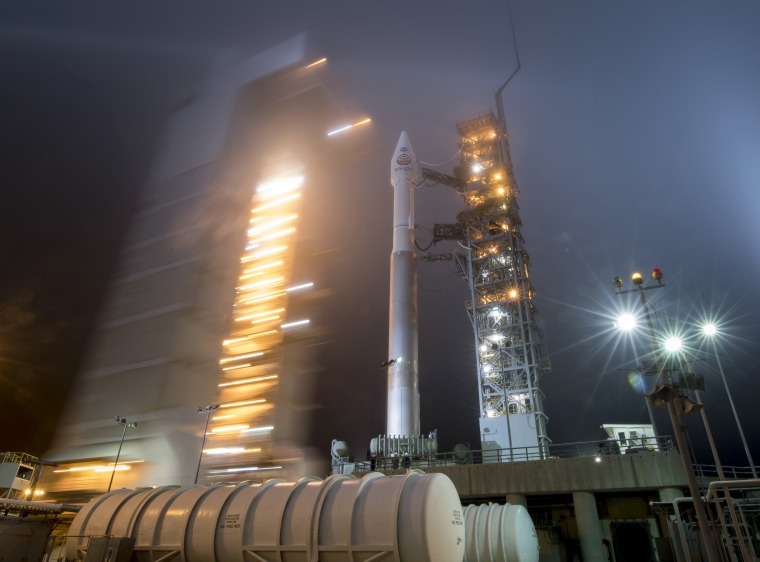 The mobile service tower at SLC-3 is rolled back to reveal the Atlas-V rocket carrying NASA's InSight spacecraft on May 4 at Vandenberg Air Force Base in California. 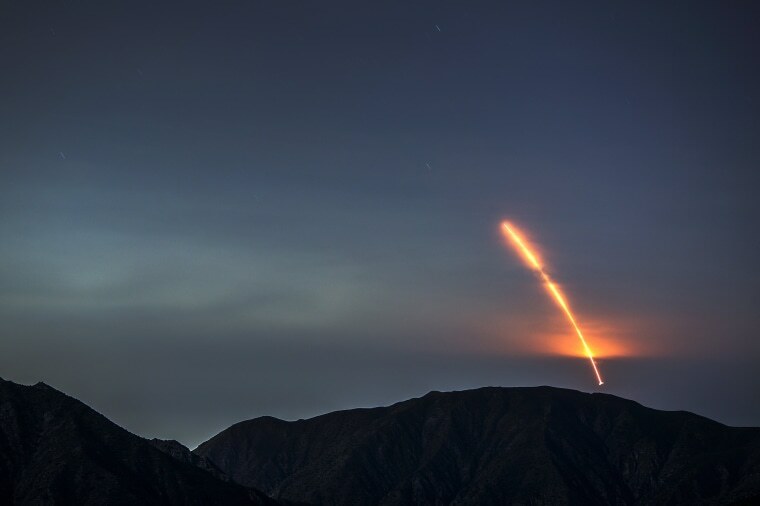 The Atlas-V rocket carrying the InSight probe launches from Vandenberg Air Force Base, as seen from the San Gabriel Mountains more than 100 miles away, on May 5 near Los Angeles. InSight will reach Mars on Nov. 26, then for about two Earth years, the lander will give Mars the astronomical equivalent of a full-body scan, drilling up to 16 feet into the ground. 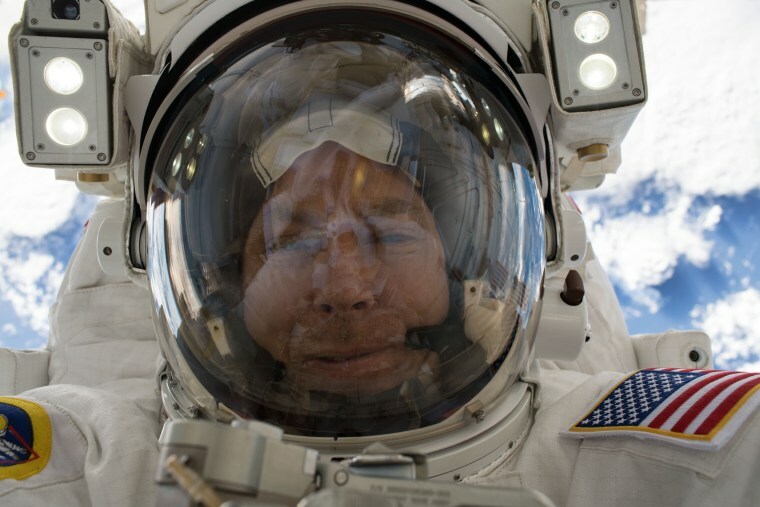 NASA astronaut Drew Feustel takes a selfie during a spacewalk outside the International Space Station on May 16. Did you know astronomers using NASA's Hubble Space Telescope use a cosmic trick to see distant galaxies? 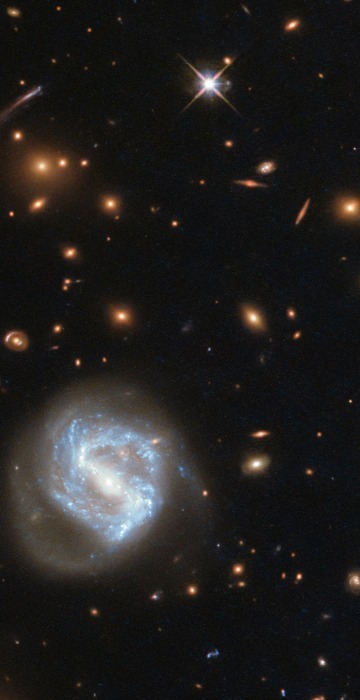 A phenomenon called gravitational lensing lets massive galaxy clusters act like a magnifying lens. 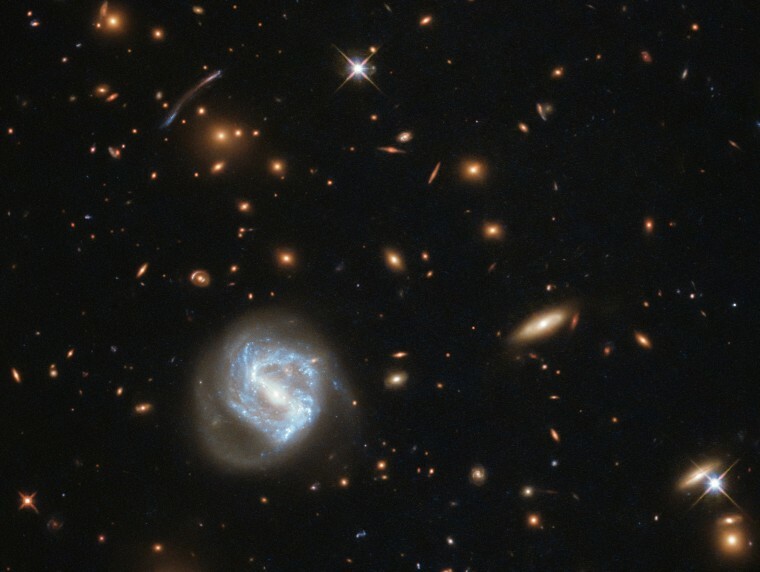 In the upper part of this frame, the light from distant galaxies has been smeared and twisted into odd shapes, arcs and streaks. 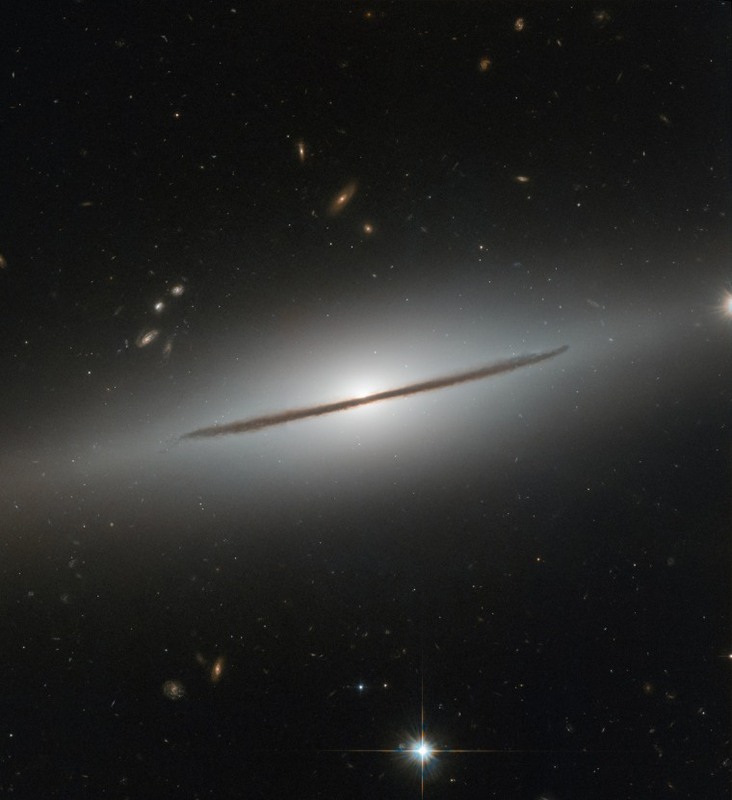 This phenomenon indicates the presence of a giant galaxy cluster, which is bending the light coming from the galaxies behind it with its monstrous gravitational influence. 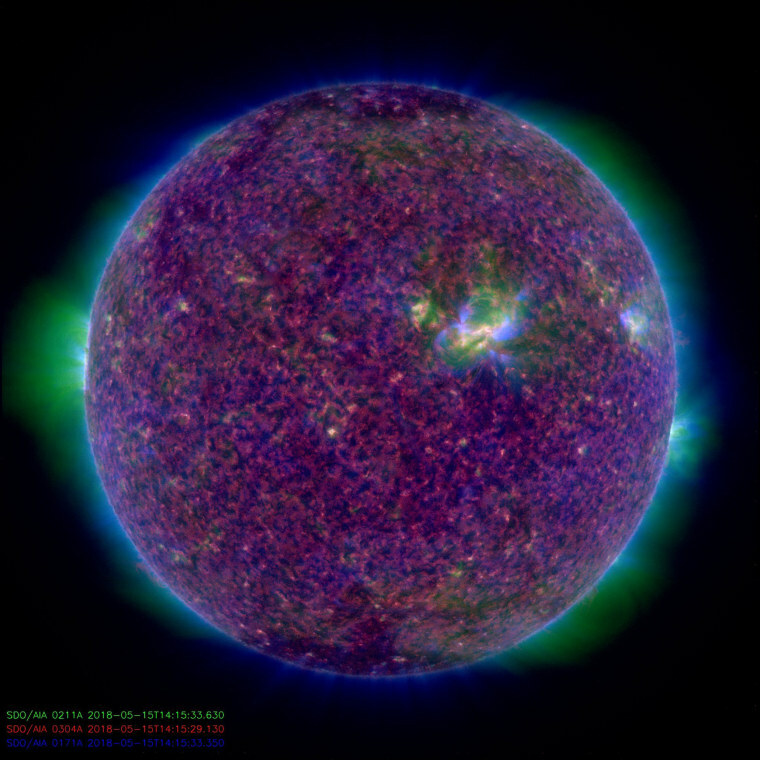 Every day NASA's Solar Dynamics Observatory observes our sun in many wavelengths simultaneously and relays observational data to scientists on Earth in an effort to understand the solar variations that influence life on Earth and humanity's technological systems. This image was captured on May 15. 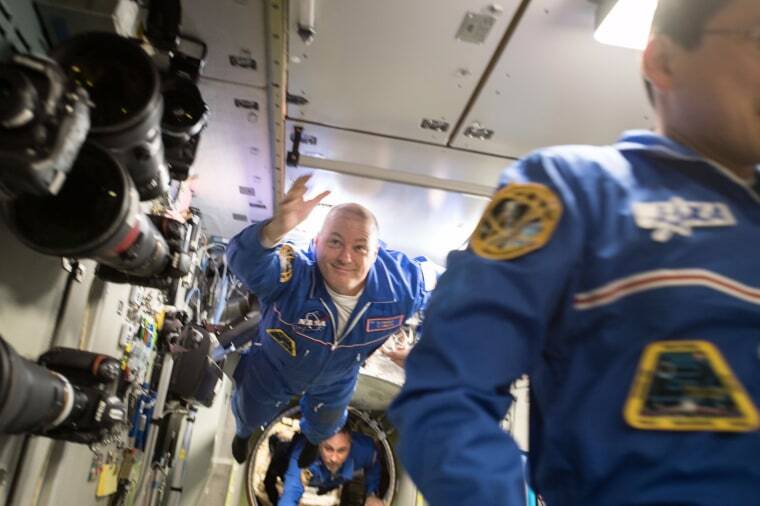 NASA astronaut Scott Tingle flies through the space station in this photo posted to social media on May 30. "When you were very young, did you ever dream or wish you could fly?" asked Tingle. NGC 1032 cleaves the quiet darkness of space in two in this image from the Hubble Space Telescope released on May 14. NGC 1032 is actually a spectacular spiral galaxy, but from Earth, the galaxy's vast disc of gas, dust and stars is seen nearly edge-on. 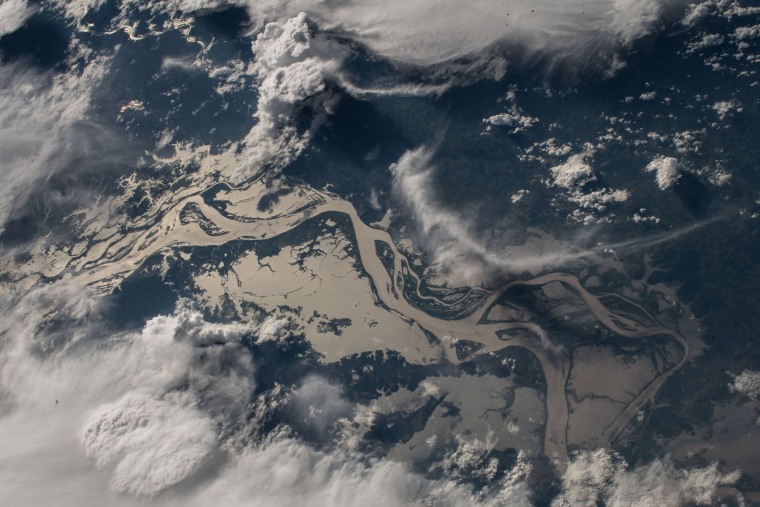 The Amazon River cuts through Brazil in this view from the space station captured on May 25. 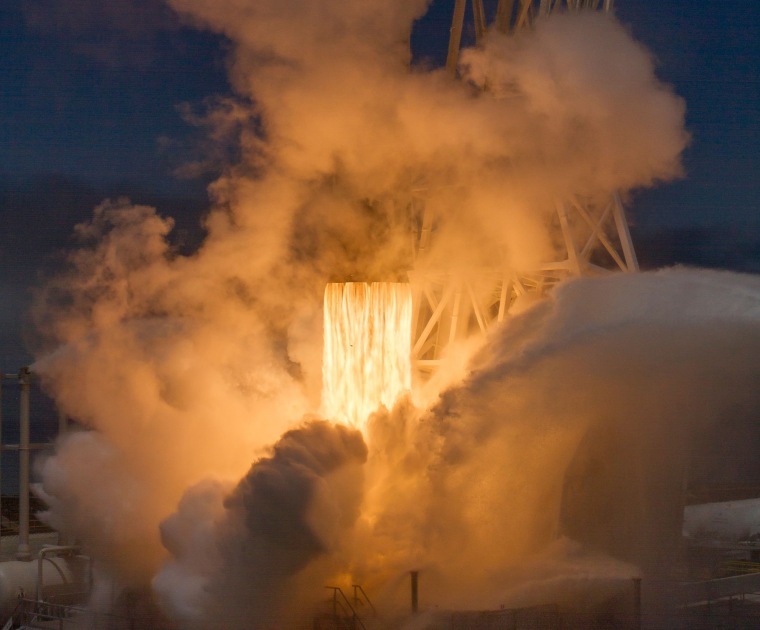 A SpaceX Falcon 9 rocket launches from Vandenberg Air Force Base on May 22. The rocket was carrying a pair of research satellites as part of the Gravity Recovery and Climate Experiment Follow-On, or GRACE-FO, mission. The project, a joint effort of NASA and the German Research Centre for Geosciences, is an effort to observe the movement of water and other mass around the planet by precisely tracking the changing pull of gravity. 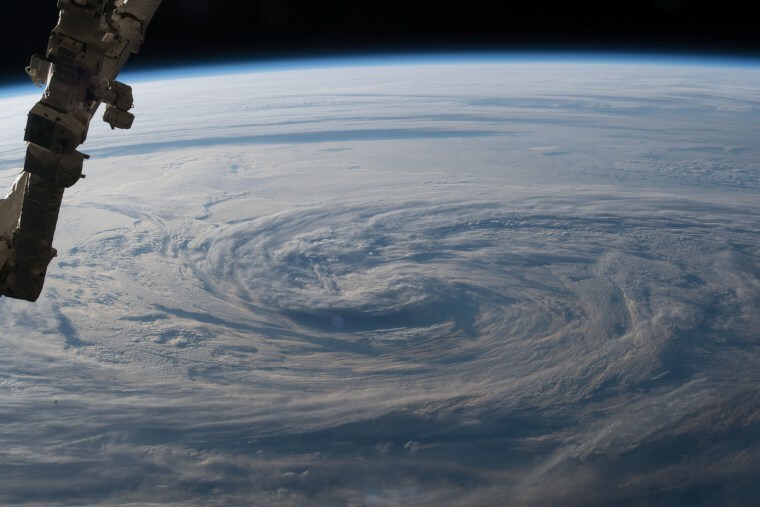 Stormy clouds swirl over in the north Pacific Ocean as the space station passed over the eastern coast of Russia on May 25. 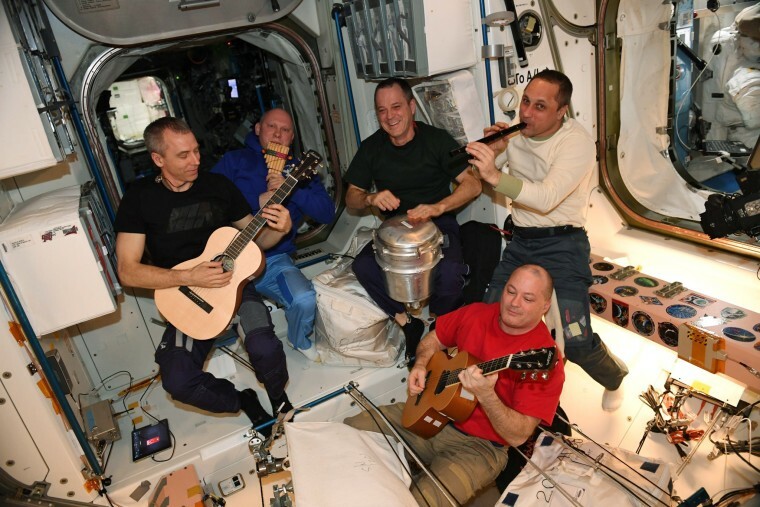 The crew of the space station make music together on May 1. Scott Tingle plays guitar at right and Drew Feustel plays at left. 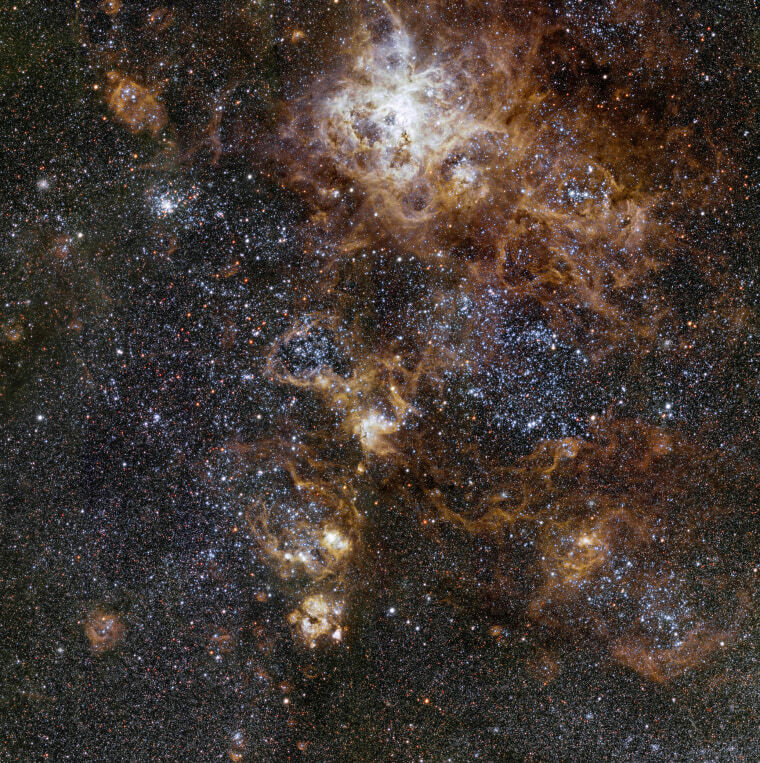 The most spectacular feature of the Large Magellanic Cloud, the Tarantula Nebula, a satellite galaxy to our Milky Way, glows brightly about 160,000 light-years away in this image released on May 29. Captured by the European Southern Observatory's VLT Survey Telescope in Chile, it reveals a cosmic landscape of star clusters, glowing gas clouds and the scattered remains of supernova explosions. 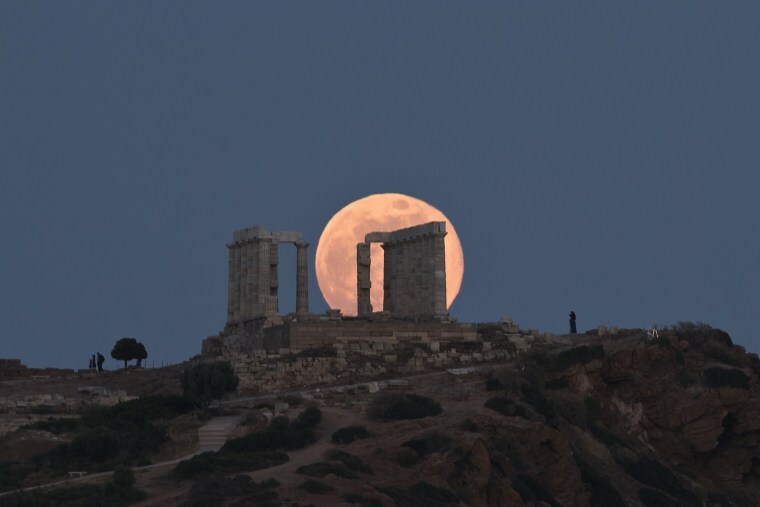 The full moon rises behind the columns of the ancient marble Temple of Poseidon at Cape Sounion, south of Athens on May 29. 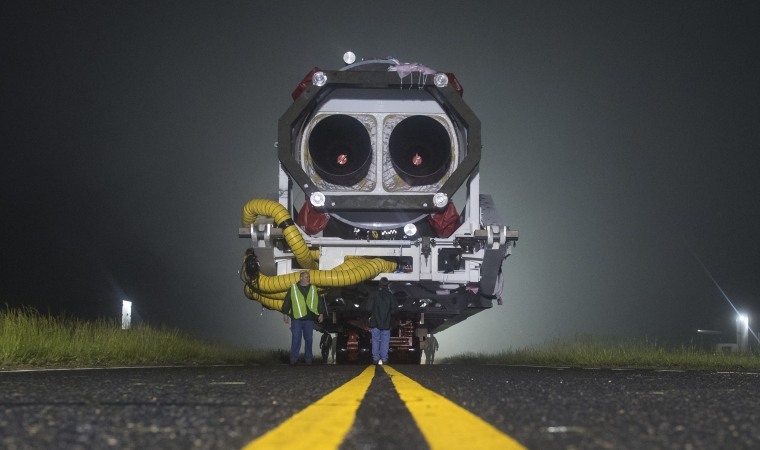 An Orbital ATK rocket is rolled out at Wallops Flight Facility in Virginia on May 17. 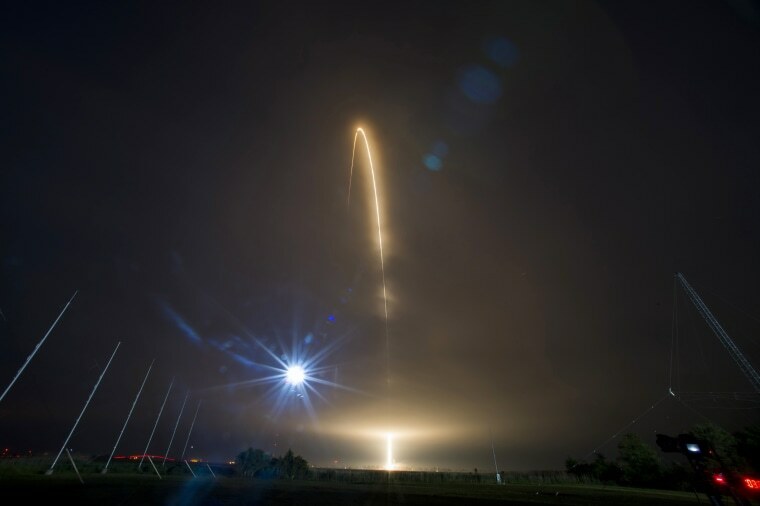 A long exposure shows the Orbital ATK Antares rocket carrying the Cygnus spacecraft onboard as it launches on May 21 at NASA's Wallops Flight Facility. The cargo resupply mission to the space station delivered approximately 7,400 pounds of science and research, crew supplies and vehicle hardware to the orbital laboratory and its crew. 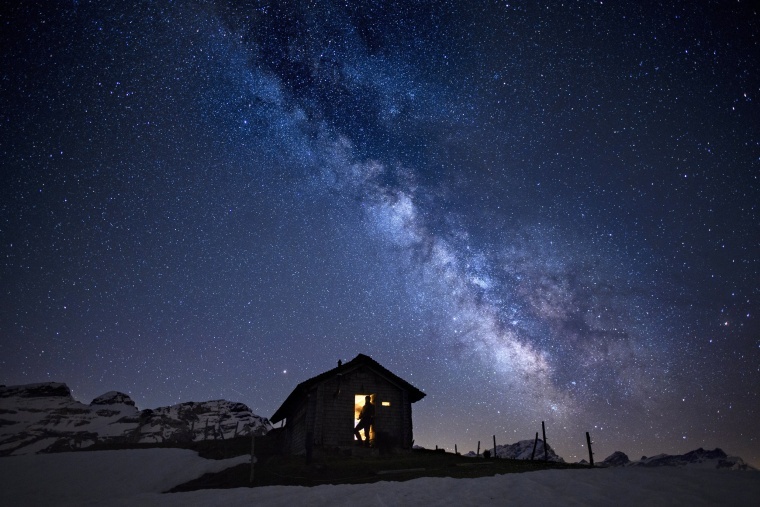 The Milky Way spreads across the sky above a small cabin in Switzerland's Ormont Valley on May 18. New research shows that our spiral galaxy's vast rotating disk of stars spans at least 170,000 light-years, and possibly up to 200,000 light-years.